Reason #10: Because it's magic. To be honest, sometimes I really don't know why one specific exercise is having such a positive result. The genius is built into the exercises and into each piece of equipment. Joe Pilates was onto something. Something we don't fully understand yet. (But we'll continue to try). It is all about the unique ability of the whole body to restore its function when used intelligently. You know how the whole is more than the sum of its parts? I can't wait to rediscover the pleasure, art, and science of teaching Pilates from the roots up in our upcoming training program. Reason #9: Giving students with pain a successful movement experience. I love how their face lights up when they tell my they've been biking for 70 miles without any neck pain. Reason #8: Because Pilates is the gentlest and toughest workout I've ever done. I don't have to torture myself nor my students in an attempt to get stronger. I don't have to yell at them and I don't appreciate being yelled at. I already work as hard as I can, thank you very much! Reason #7: Because I learn something new every day. I have an insatiable thirst for knowledge and there is rarely a day when I don't learn something about the body and mind that I hadn't considered before. Reason #6: Because it allows me to age gracefully and it allows my to teach as long as I wish. Age is just a number after all. Romana Kryzanowska - one of Joseph Pilates' original students - continued teaching into her 90s. Reason #5: The quality before quantity approach permeates the rest of my life, and makes me much much happier. No more low-quality TV programs or shoes that pinch my toes (no matter how cute they are). No more low-quality calories, only food that nourishes my body and soul. Where have you substituted quality for quantity? Reason #4: Because it shows me how we are all different. No one moves exactly like somebody else. We will never look just like each other. It gives me permission to be different. It allows me not to fit into a specific body image. I can be me. Reason #3: Because Pilates connects your mind with your body. You'll be aware of your body like never before. You'll detect movement patterns that might potentially harm you early on, so they never become a problem. Reason #2: No matter where a student starts, we can give them a program that is attainable and doable. I don't have to leave anybody behind without a chance to improve. 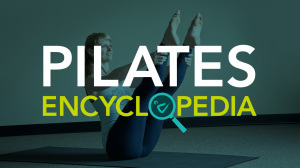 No matter what the (past) injury or limitation, Pilates has something for you. Reason #1: Because it's incredibly fulfilling to hear that someone can hike up and down a mountain again without knee pain. Their faces light up, as their soul is nourished by the outdoors. Beacon St. and Crosby St.
in the alley behind the building.